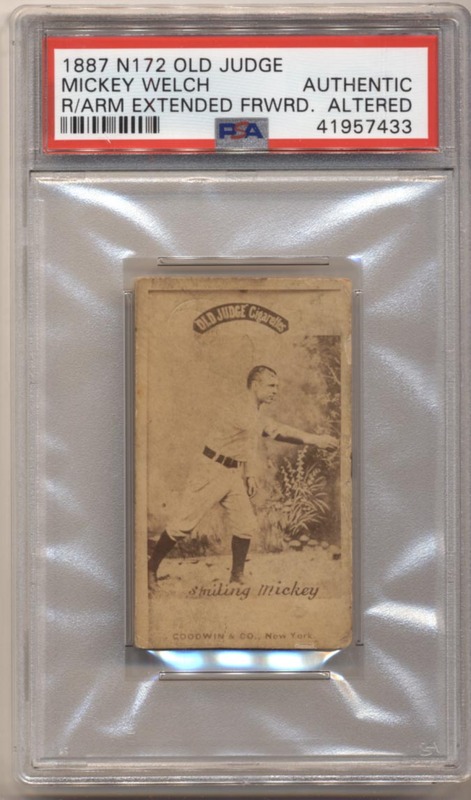 Desirable and scarce Old Judge HOFer, these are always very popular. Cut short at the bottom, this is a difficult pose to find. The image is otherwise clean, the back has staining from being in a scrapbook. There are no creases, there is wear on the right border. How often do these come around?